One of the hallmarks of world history is the ever-increasing ability of humans to cross cultural boundaries. 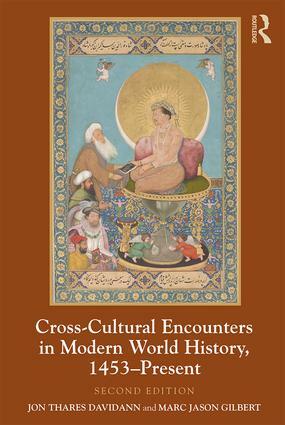 Taking an encounters approach that opens up history to different perspectives and experiences, Cross-Cultural Encounters in Modern World History examines cultural contact between people from across the globe between 1453 and the present. The book examines the historical record of these contacts, distilling from those processes patterns of interaction, different peoples’ perspectives, and the ways these encounters tended to subvert the commonly accepted assumptions about differences between peoples in terms of race, ethnicity, nationhood, or empire. This new edition has been updated to employ current scholarship and address recent developments, as well as increasing the treatment of indigenous agency, including the major role played by Polynesians in the spread of Christianity in Oceania. The final chapter has been updated to reflect the refugee crisis and the evolving political situation in Europe concerning its immigrant population. Supported by engaging discussion questions and enlivened with the voices and views of those who were and remain directly engaged in the process of cross-cultural exchange, this highly accessible volume remains a valuable resource for all students of world history.